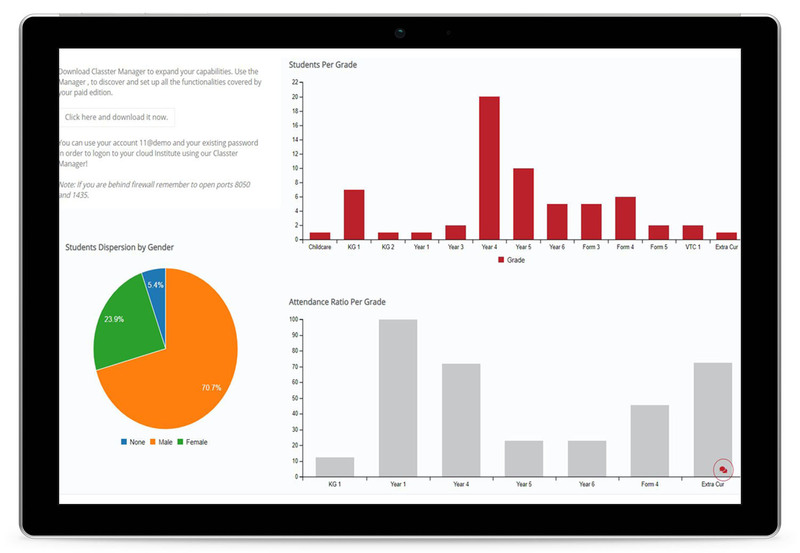 Use BI tools to monitor your schools’ progress. Get a clear financial analysis for all payments, invoices, income and expense transactions. Use Classter's BI tools to work out budget issues like students' turnover per hour, or academic issues like drop-out rates. Keep records and monitor social issues such as bullying incidents or parents' comments and complaints ratios. Improve the performance of your institution by exploring Classter’s forecast reports and analytics, calculate teachers' cost and total expenses as well as teachers - classes profit. Moreover, Classter allows monitoring of students' performance by teachers, providing them with analytical and statistics tools on their personal portal.